This coming Tuesday, March 28, the House Intelligence Committee was scheduled to hold a second public hearing about possible collusion between the Trump campaign and Russia. 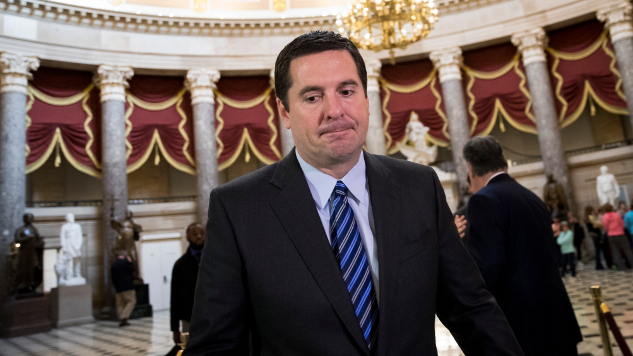 Now that day for the House Intelligence Committee will come and go with little fanfare as the committee chair, Rep. Devin Nunes (R-Calif.), announced that he had canceled the upcoming hearing. Committee Chairman Nunes says the move was made to allow FBI Director James Comey and NSA Director Mike Rogers a chance to privately testify about topics that they had to “no comment” during this week’s hearing. But Rep. Adam Schiff (D-Calif.), the ranking Democratic member on the House Intelligence Committee, alleges that Nunes made the move to “choke off public information” and shield the Trump administration from further embarrassment. A good deal of Rep. Schiff’s reasoning comes from a move Rep. Nunes made on Wednesday to brief the White House before his own committee about intelligence surveillance related to Trump associates that was picked up by legal monitoring. Nunes has since modestly abjured from the assertion that President Trump and his campaign aides were directly monitored, but segments of the Republican party continue to parrot the allegation.